The mineral dealership of Dr. August Krantz (1809-1872) was founded in 1833 while he was still a student at the Freiberg Mining Academy in Saxony. By 1836 (according to the Berlin City Directory) the company had moved to Brüderstraße 39 in Berlin. Krantz developed extensive connections to important scientists and collectors, eventually becoming one of the foremost mineral dealers in Europe. During the following years Dr. Krantz expanded his business into many countries and continents. The company moved its headquarters to Bonn in 1850, where it opened one of the first geological specialty shops in the world (and where it continues successfully in business today). 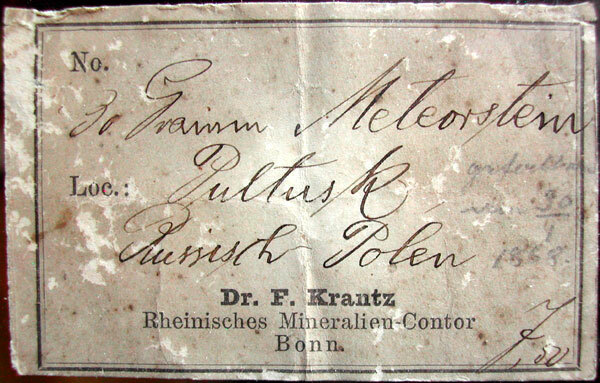 August Krantz's son-in-law, Theodor Hoffmann, took over the business in following Krantz's death in 1872 and ran it until 1888, the last six years with the assistance of the mineralogist Carl Hintze, until Hintze left to take an appointment in Breslau. 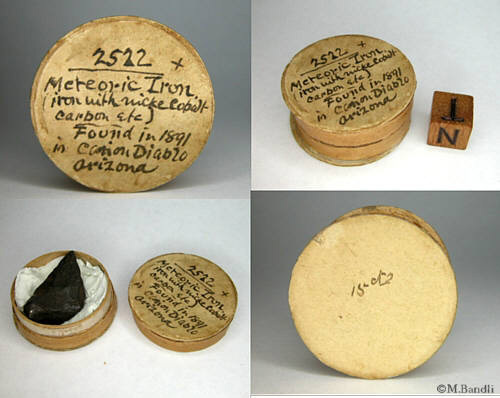 Hoffmann sold Krantz's personal collection of over 14,000 mineral spwximens to the Mineralogical Museum in Bonn in 1874. August's nephew, Friedrich Ludwig Robert Krantz (1859-1926), was born in Glogau, Silesia. 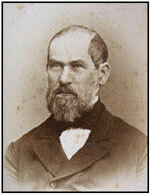 He studied chemistry and pharmacology at Freiburg in Baden, and mineralogy under Carl Hintze in Breslau, receiving his PhD from the University of Erlangen in 1888. He joined the Krantz firm that same year and took over its management in 1891; it was at this time that the company changed its name from "A. Krantz" or "Dr. A, Krantz" to "Dr. F. Krantz." Friedrich Krantz died in 1926, after having led the firm for 40 years, and his widow Olga then took charge of the business, with the help of her nephew, Fritz Krantz. Fritz had worked for Ward's Natural Science Establishment in Rochester to learn the business and polish his English (which was excellent). He was of a military demeanor, had served as an officer in the German Army during World War II, and was proud of a scar on his face which he said had been acquired in a sword fight over a woman. Olga Krantz was able to successfully lead the enterprise until her death in 1948, despite the economic upheavals and difficulties occasioned by the war. Fritz Krantz then led the company during the post-war reconstruction period, and re-established the company's good business relations worldwide. In 1974 Fritz Krantz transferred the enterprise, by this time the oldest and one the most important geological supply houses in the world, to the management of his daughter, dipl. Geologist Renate Krantz, who remains in charge today. The company, known as "Dr. F. Krantz, Rheinisches Mineralien-Kontor" (or just "Krantz"), is widely known and respected, and bills itself as the oldest geological supply house in the world. Based on this history, the city addresses and names on the labels can be used to provide approximate dates. Labels from the earliest period, 1833-1837, if they exist at all, would be marked "Freiberg i.S." (Does anyone know of such a label?) The labels marked "Berlin" date from 1837 to 1850. And labels marked "Bonn" are from 1850 or later. Some labels have "Berlin" scratched out and "Bonn" added—these labels obviously date from the period shortly after the move from Berlin to Bonn in 1850. 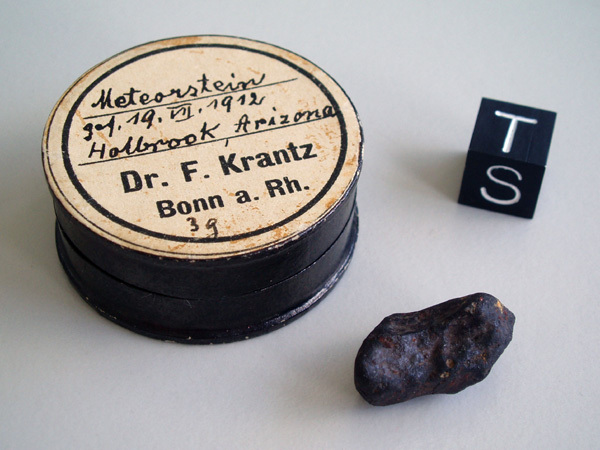 Labels marked "F. Krantz" instead of "A. Krantz" date from 1888 to the present. To contribute more information please Login or Register with our website. You will be able to send an information then. A curious antique pill box from Krantz Mineral (Bonn, Germany). Dr. F. Krantz was well known for using pill boxes and match cases as specimen containers. This particular box has been dated at the turn of the 19/20th century. Contents copyright © Sergey Vasiliev. All rights reserved. It took a lot of hours to create this website. You can donate some money to help me keep it running and make it better.